One of the powerful features of Spring Boot is its ability to automatically configure our application based the jar dependencies we are adding to our classpath. 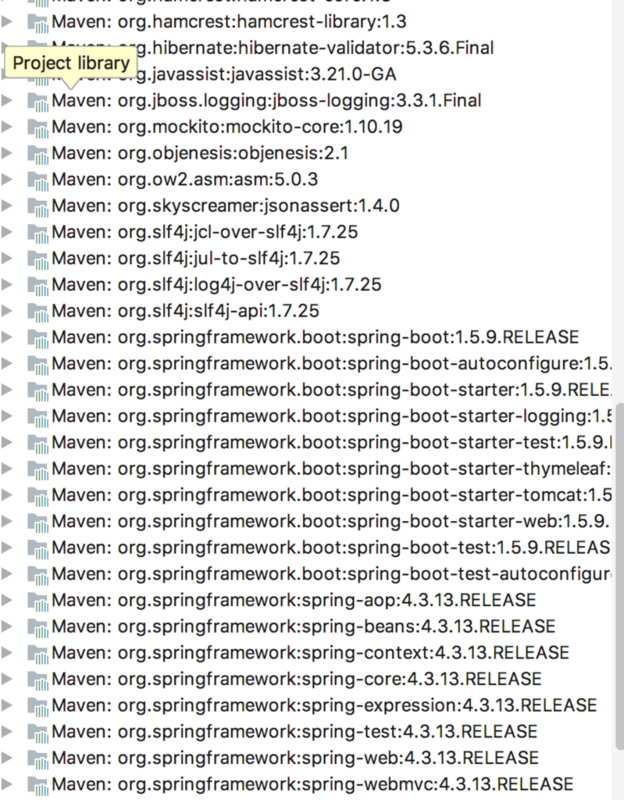 In this post, we will be covering Spring Boot Auto Configuration features with an understanding of how this can help in the development lifecycle. We also need to configure dispatcher servlet in Web.xml file as part of the configuration. For Database applications, we need additional configurations for Hibernate / JPA along with datasource and other configurations. With enterprise Spring applications, these configurations can become quite complex and we might end up configuring lots of things to start our application. Default servlet container for ourSpring MVC application? Spring Boot Auto Configuration comes with these features. Auto-Configuration will attempt to automatically try to set up our application with default behavior based on the jars in the classpath. For example, if Spring Boot finds HSQLDB in out classpath, it will automatically configure an in-memory database for us. Think of the auto-Configuration as an intelligent system which can provide ready to use the application to us based on the configured jars in our classpath. To get an understanding of how Spring Boot Auto Configuration works internally, we can create Spring MVC application using Spring Boot. Follow Creating a Web Application with Spring Boot to create an application using Spring Boot.Run your MVC application and look at the console. You might find a similar output in the console. This single entry demonstrates power and feature of auto-configuration. On adding this starter in our application, Spring Boot auto configuration understands that we are building an MVC application and it added all required dependencies in our classpath for a Spring MVC web application. This went one step ahead and automatically configured DispactherServlet, CharacterEncodingFilter, RequestContextFilter and even error page for us (We never did any configuration for these). Spring Boot will add similar configurations based on the Spring Boot Starters added in the POM file. Let’s check how auto configurations work internally, check what is added to the classpath using IDE (Eclipse or IntelliJ etc). Here is the one from our sample application. As seen in this above screenshot, Spring Boot automatically added dependencies for us to ensure we have ready to use application. To enable auto-configuration for our application, we can either use @AutoConfiguration or @SpringBootApplication annotation in our application. Check spring.factories property file under /META-INF directory under spring-boot-autoconfigure.jar. This file contains a list of the auto-configuration classes which will be automatically enabled by Spring Boot. Here is a sample output from spring.factories file. We will be covering these annotations and other details in a separate post. In this post, we covered the Spring Boot Auto Configuration feature. We covered some of the interesting features of Configurationation along with how this works internally. The interesting features of Spring Boot Auto Configuration are its ability of noninvasive. Define your own configuration to replace default auto-configuration.